Visit our online store for viewing the collection of Russian fur hat or Ushanka. You can buy aviator hat, trapper hat, trooper hat or the famous bomber hat. There are multiple choices and you can select your favorite color and material for your one of its kind Russian winter hat this season. If you desire you can get mouton, sheepskin fur and rabbit skin hats as well but many people prefer the faux fur hat over animal skin. Artificial fur hat are more in demand throughout the world and they come with a very reasonable price tag. Many people who are allergic to real fur hats can order the faux fur hats to look their best in the coming winter months. Ushanka hats are not only popular in the Russia or former USSR. They were popular throughout the history in the many countries including China, Mongolia, North Korea, Canada and USA. They became a stereotypical picture of Russians when the government decided to make them a part of soviet military uniform. The officers enjoyed wearing the lambskin fur hats while the soldiers were supplied with artificial fur hats. The Russian winter hat was inevitable to combat the freezing temperature in the coldest regions. More than a hundred years the Russian fur hat has remained part of uniform of Soviet army for its special features and characteristics. The hats grew more popularity across the globe for its comfort, easement and cozy warmness in chilling weather. The beautiful headgear is available in a wide range of colors such as white, black, red, blue, green, purple, red, fuscia, yellow, green, azure, orange, pink or brown and other. 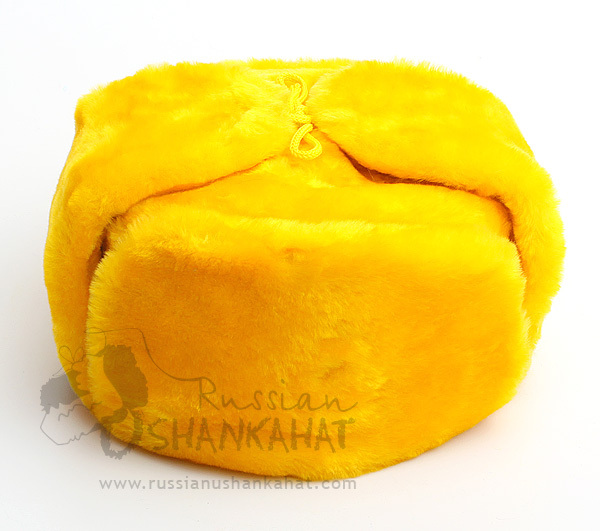 Gradually, the Russian winter hat acclaimed its position in the international fashion industry and now available in a variety of colors such as sunshine yellow, passionate red and cool blue shades. 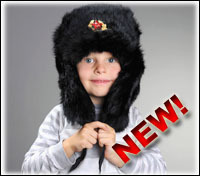 Ushanka with its popular earflaps are popular among men, women and children. Ushanka is known as shapka as well. The word Ushanka mean with ears and the Russian soldiers used to tie them beneath the chin or on top of the head. It protected the head from any severe injury with the help of thick inner padding. The nomads in the Arctic region used fur hats and the modern stylish Russian fur hat became massively popular in the 20th century. From Russia to the streets of Paris and catwalk ramps in New York it hardly took a couple of years. Take the measurements of your head circumference and select the color, material and style to order at our store unique faux fur hat, bomber hat, trapper hat, aviator hat and trooper hat.